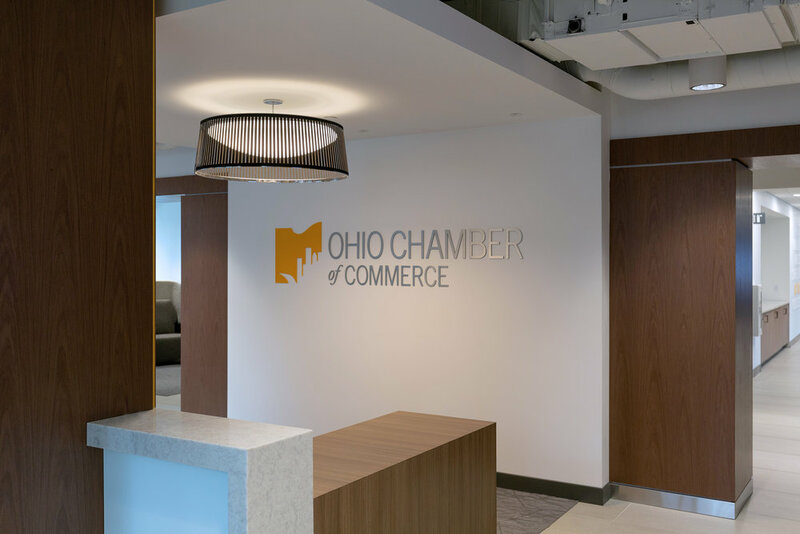 The Ohio Chamber picked a wonderful spot for their new offices right across from the Ohio State House. 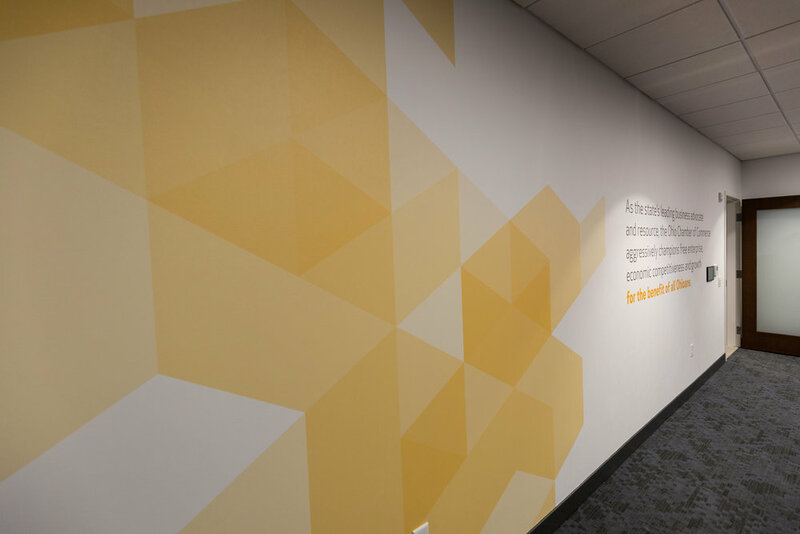 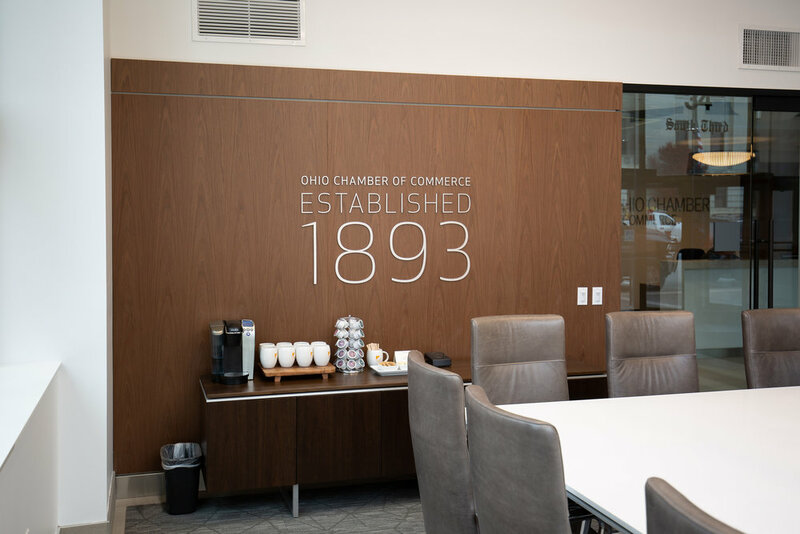 The branding is designed to align with their clean and modern interior design aesthetic. 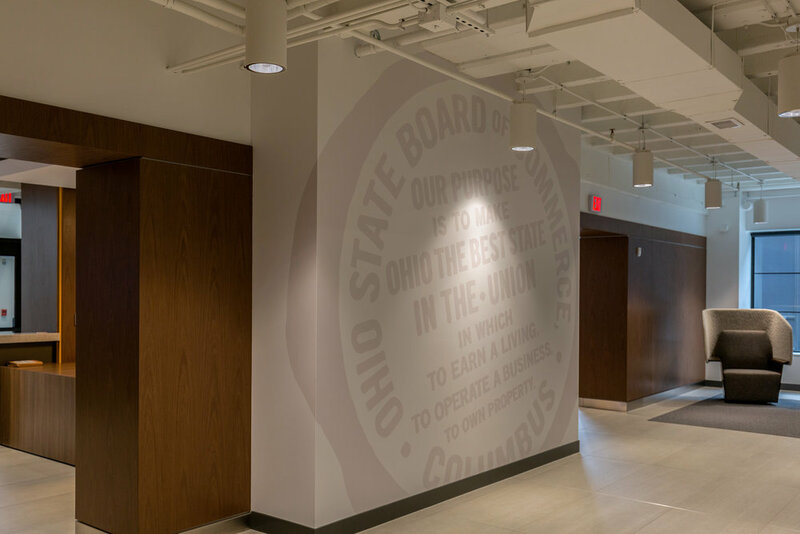 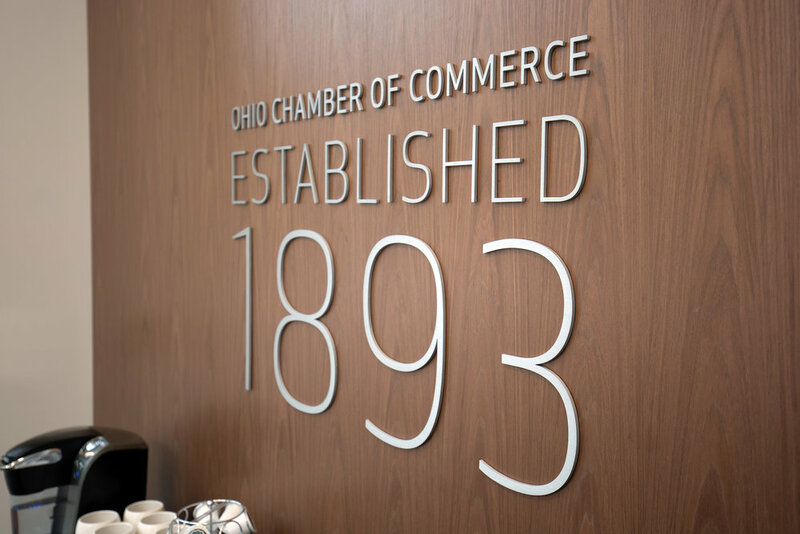 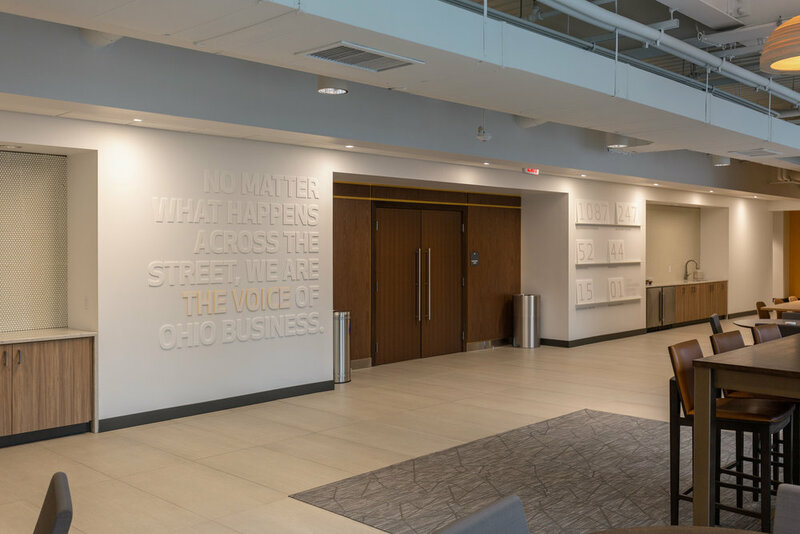 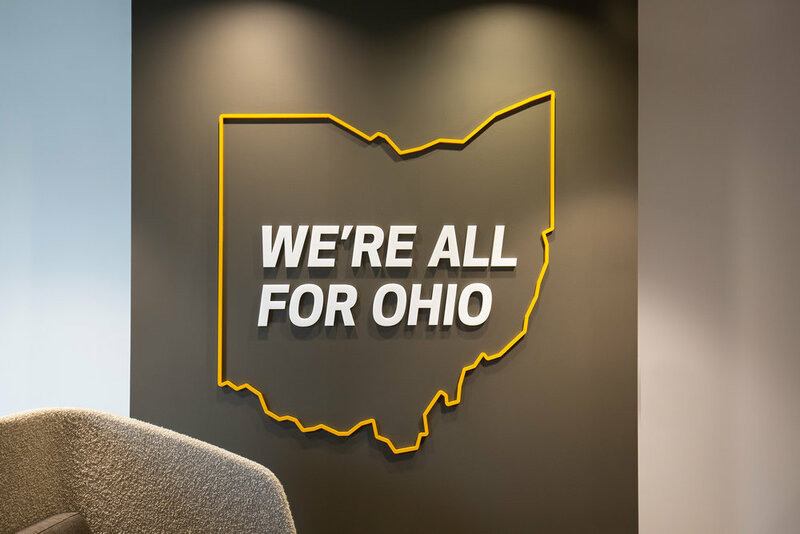 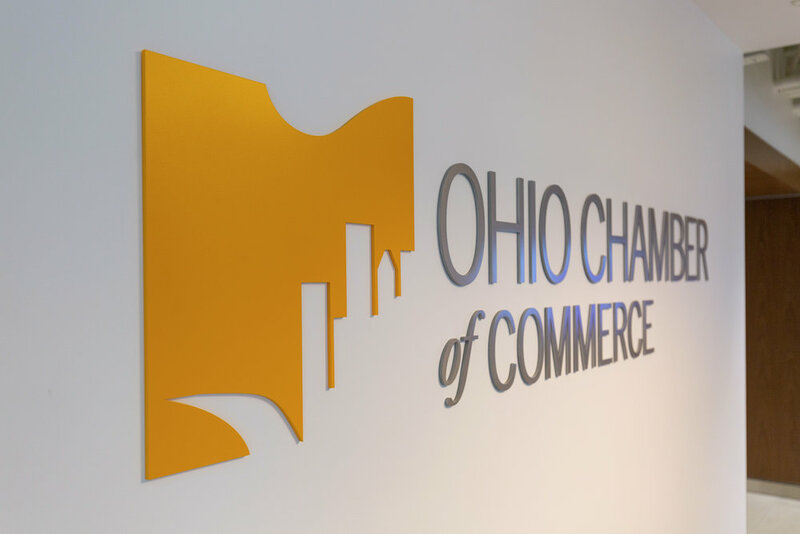 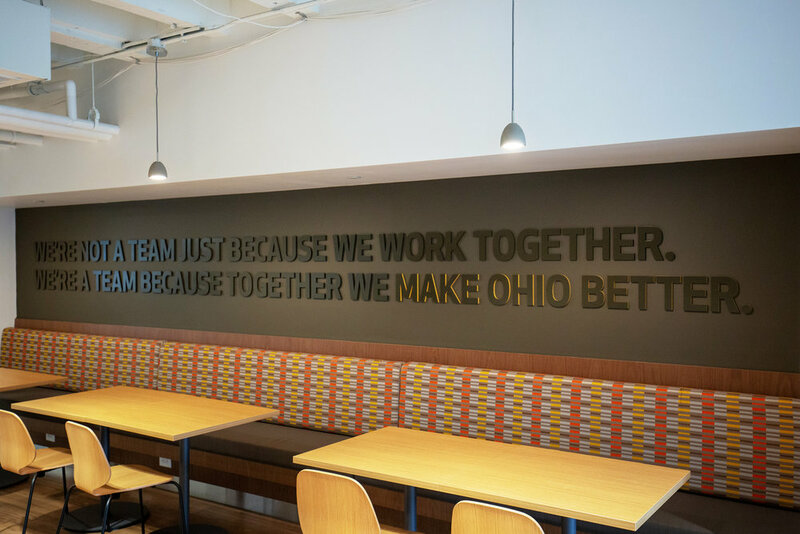 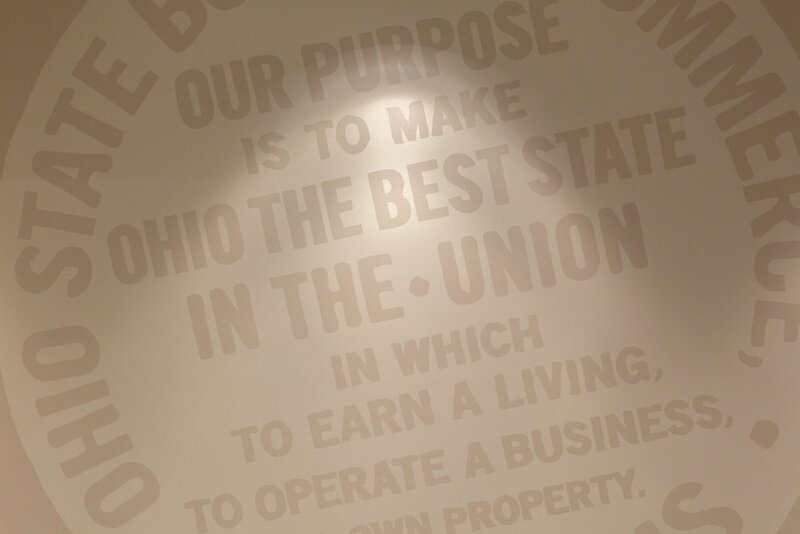 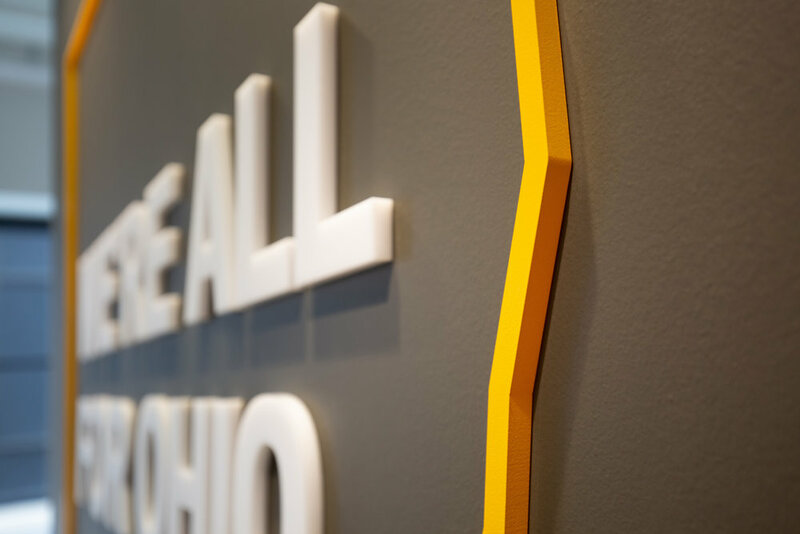 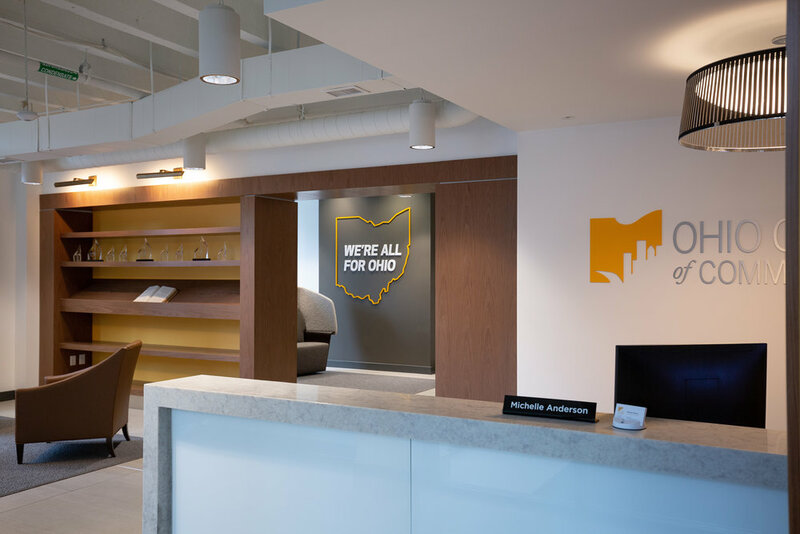 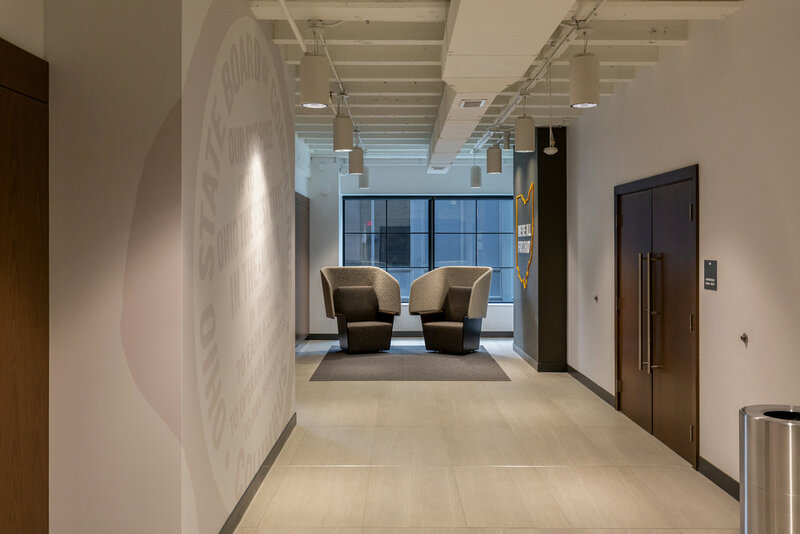 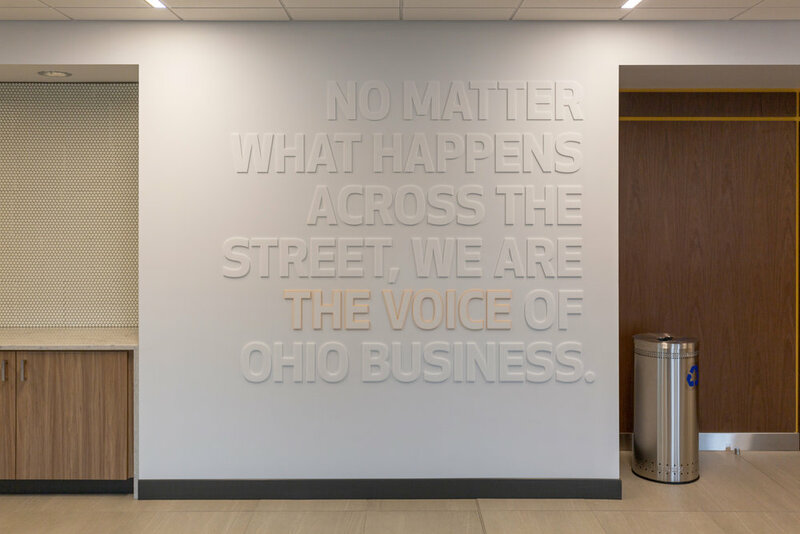 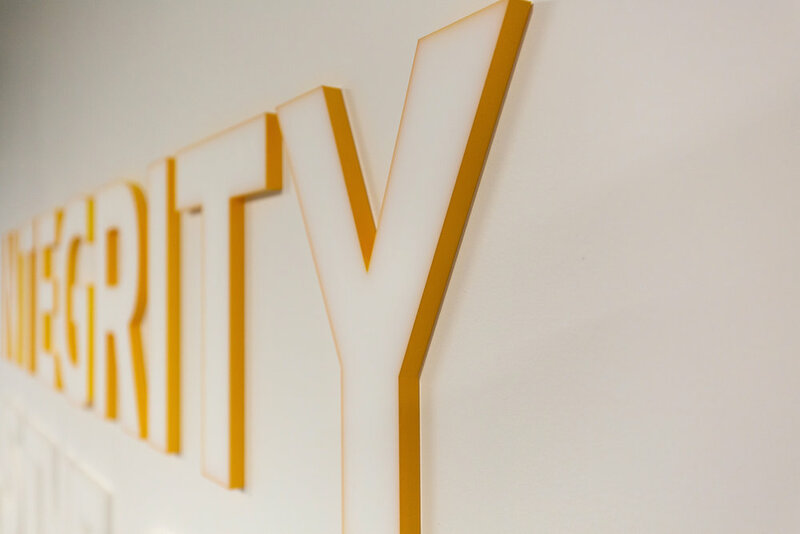 The use of a restrained palette and bold typography is combined with simple and powerful statements about the organization’s mission to advocate on behalf of all Ohio businesses. 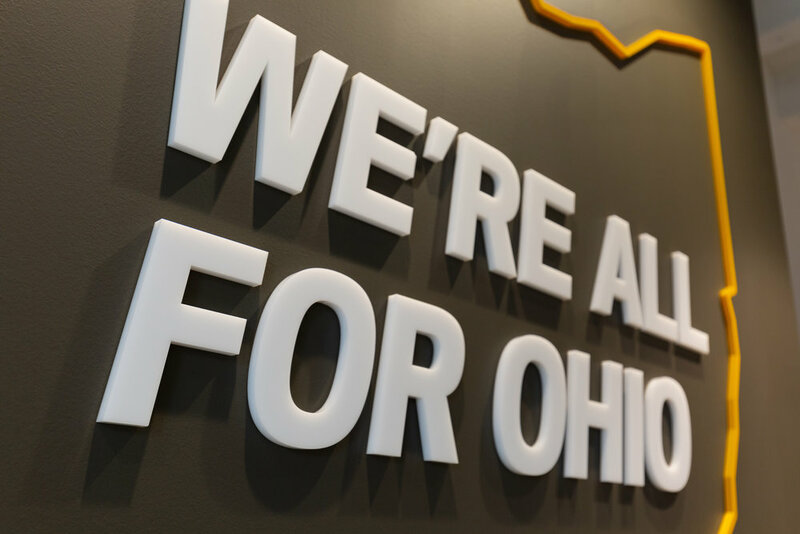 The message resonates with visitors and employees in knowing that what is good for business in Ohio, is good for the residents of Ohio. 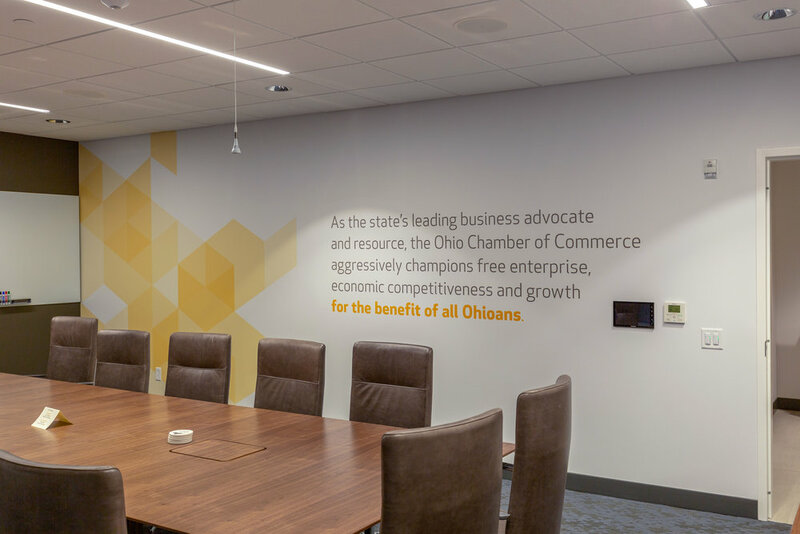 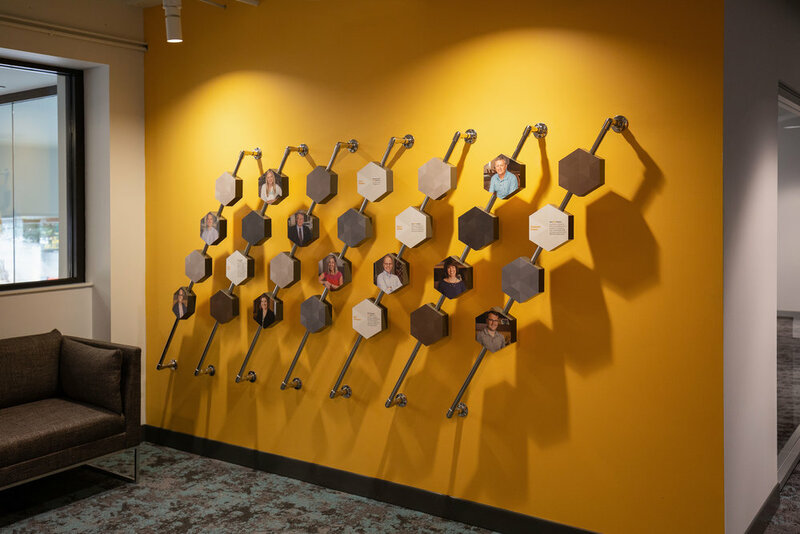 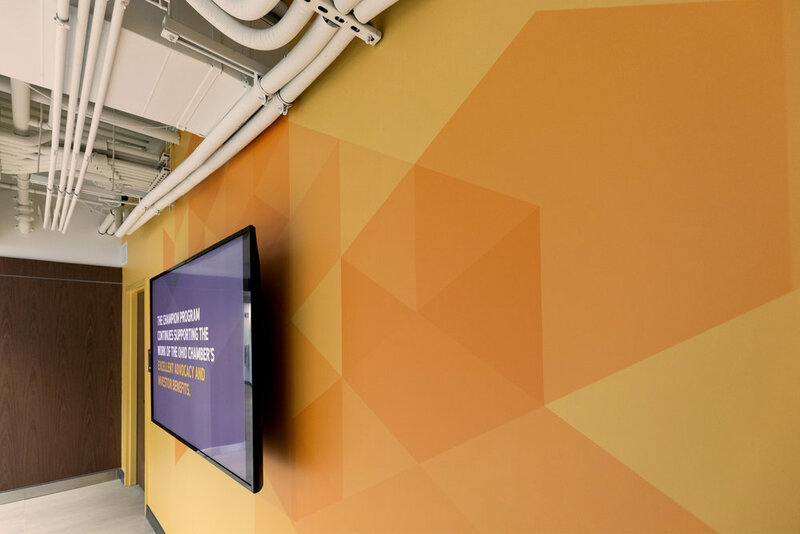 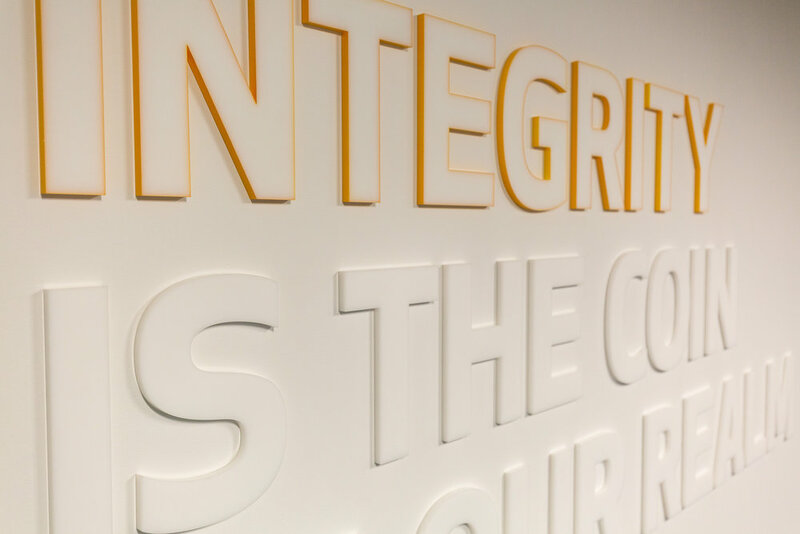 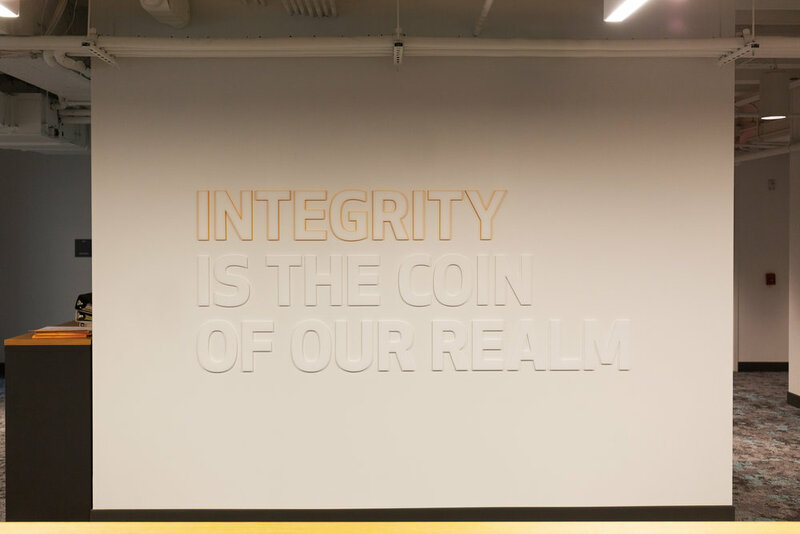 Legislative victories are celebrated and cultural mantras are expressed to create an educational and inspirational environment for visitors, donors and associates of the Chamber.